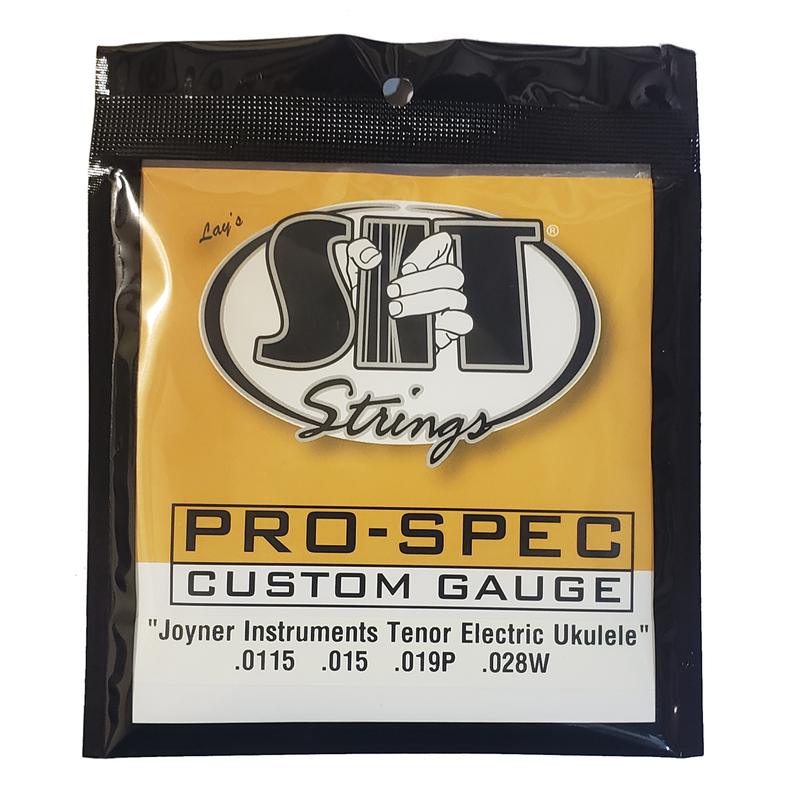 When I started building electric ukes, I spent a long time determining what strings gauges and types worked best. I went through many iterations of wound and unwound, different gauges, and different manufacturers. Once I settled on a set that consistently felt good, I knew that I wanted to work with an American company for my strings. 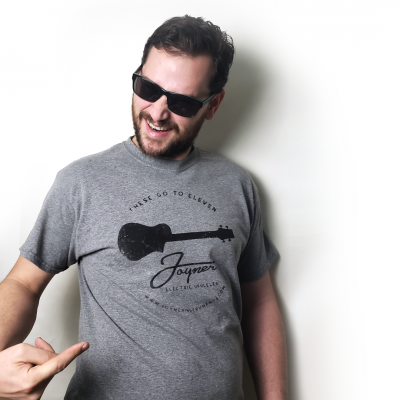 SIT strings stepped up to the plate. They make awesome strings right here in the USA, best of all they were happy to custom package electric ukulele strings for me. 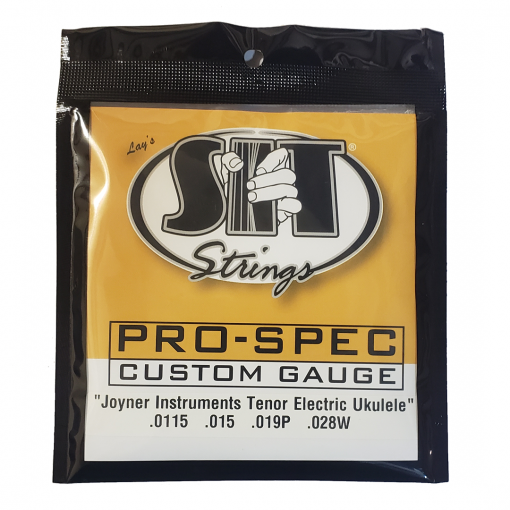 So when your strings start to sound dull, treat yourself to the best electric ukulele strings out there: SIT Custom Gauge Electric Ukulele strings. Lay’s SIT strings custom packaged from Joyner Instruments.